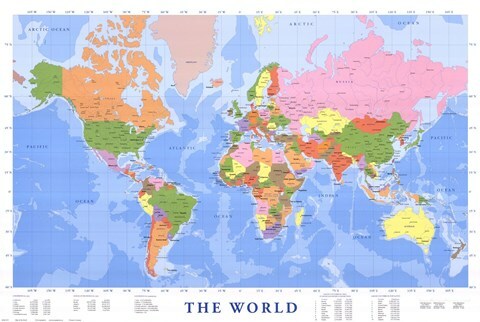 Finding the perfect finishing for this high quality Map of The World (mercator projection) art print can be a daunting task. At FramedArt.com, we provided framed art prints that are custom built to match the style or feel that you want for your fine art. This art print is supplied by one of the world's leading art publishers and will be framed in-house based on your framing specifications by one of our frame team. Whether you're looking a traditional painting or a framed contemporary print, you can customize your framed art from start to finish.